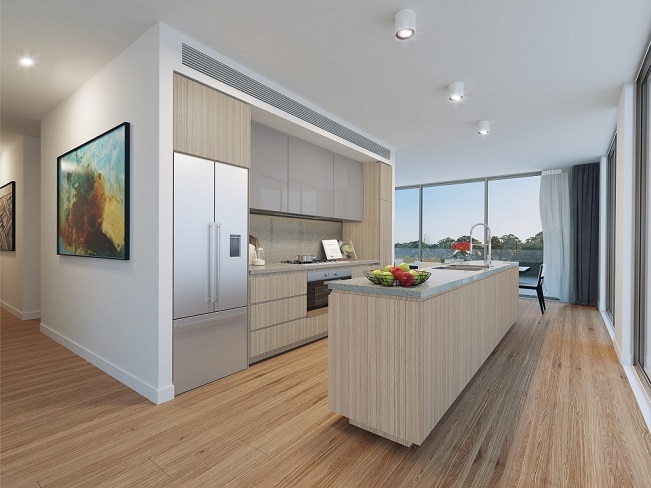 settle back and enjoy picturesque views over the sweeping fairways of neighboring Killara Golf Course, Sydney City and Chatswood, taking in the verdant greenery for which this beautiful suburb is renowned. Amongst the most tightly held suburbs on the North Shore, the opportunity for luxury apartment living in this Killara enclave is rare indeed. 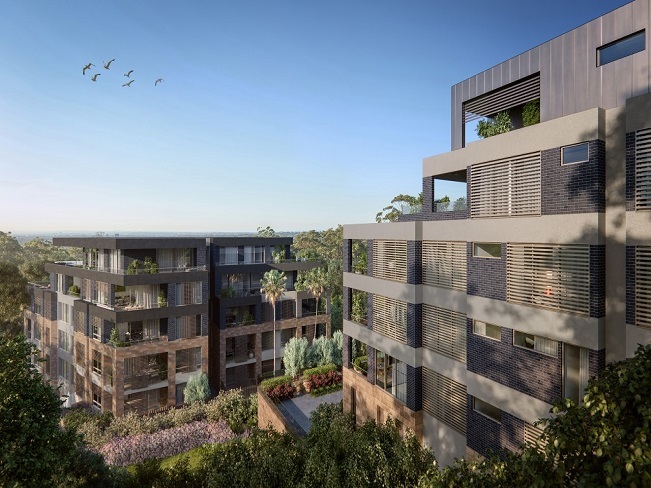 Bordering the tranquil greens of Killara Golf Course, Octavia resides in one of Sydney’s most cherished and exclusive neighborhoods. With every convenience of desirable city living within close proximity, Killara remains a leafy sanctuary. 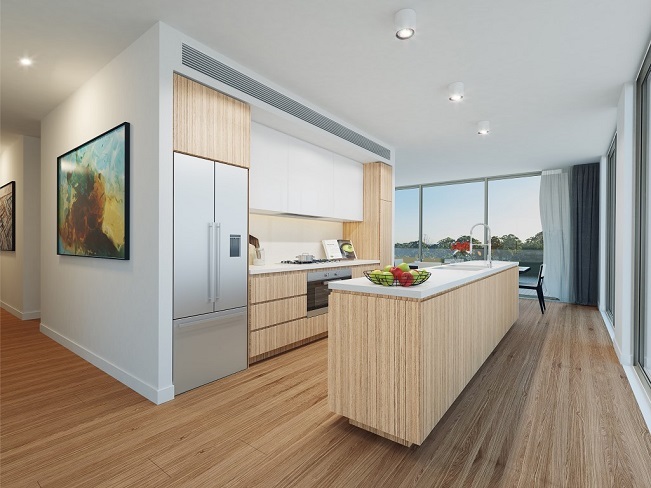 The location boasts premier schools, nearby Killara train station, Chatswood Chase and Westfield shopping precincts and the Macquarie Centre. 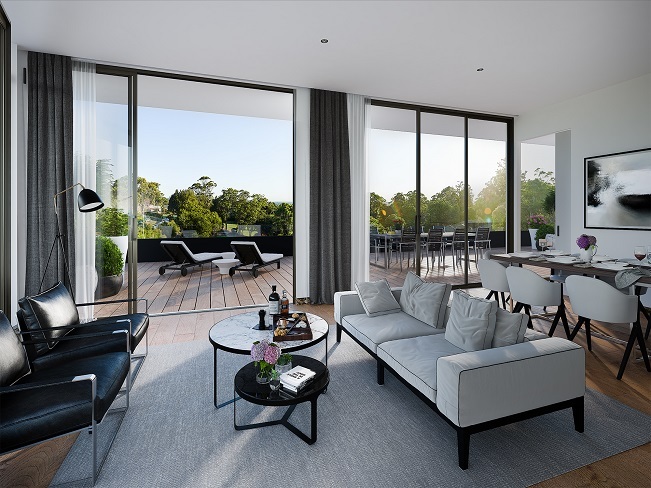 Just 15 kilometres north of Sydney CBD, Octavia’s stunning oversized residences offer a superior way of life in a truly exclusive setting. 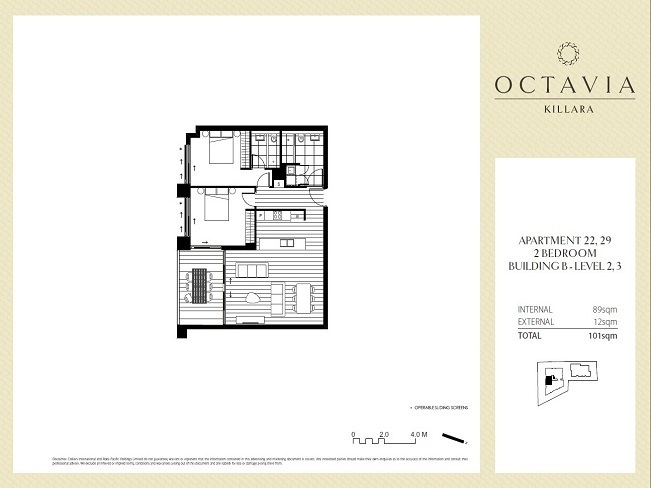 Designed for the discerning, these are the kind of homes you’ll see yourself living in for many years to come. Killara Golf Club, croquet, lawn tennis and unspoilt bushland bestow seamless leisure for all ages. Nature and recreation is always close at hand with Lane Cove and Ku-ring-gai National Parks within a short drive. Find friendly village stores within Killara, along with destination shopping in nearby Gordon, bustling Chatswood and busy Macquarie Centre, one of the largest shopping centres in the southern hemisphere. 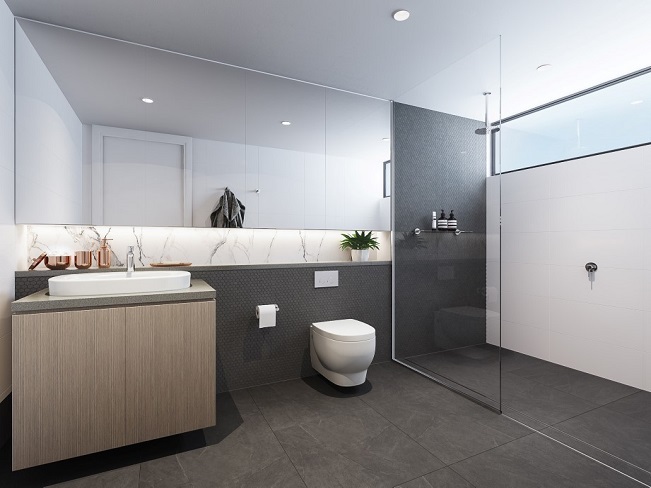 Killara train station is within an easy stroll with a myriad of transport modes ensuring quick access to Sydney CBD and beyond. When it comes to schooling, you’re spoilt for choice. Octavia sits in the catchment for Killara High School that ranks amongst NSW’s best performers while Ravenswood School for Girls, Pymble Ladies’ College, and Knox Grammar are all within close reach. A generous serve of eateries create the ingredients for a wonderful community. The landmark Greengate Hotel’s dining is ever popular for meeting up with friends and family while busy cafés such as Pablo & Rusty’s are local favourites for fine coffee and a casual brunch. 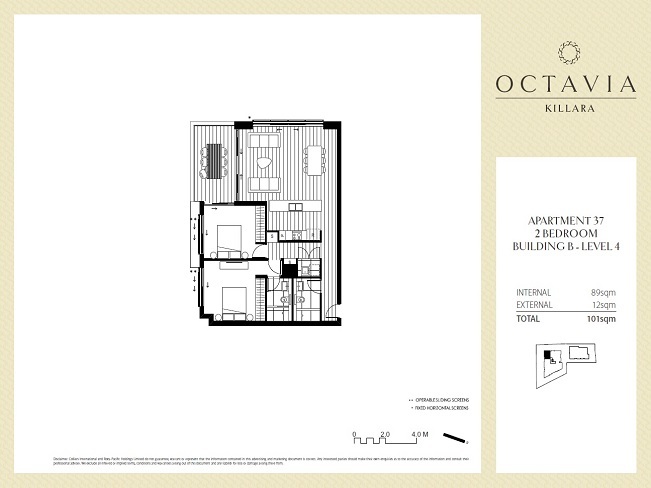 Octavia delivers the finest architecture and interior design to the peaceful heart of leafy Killara. 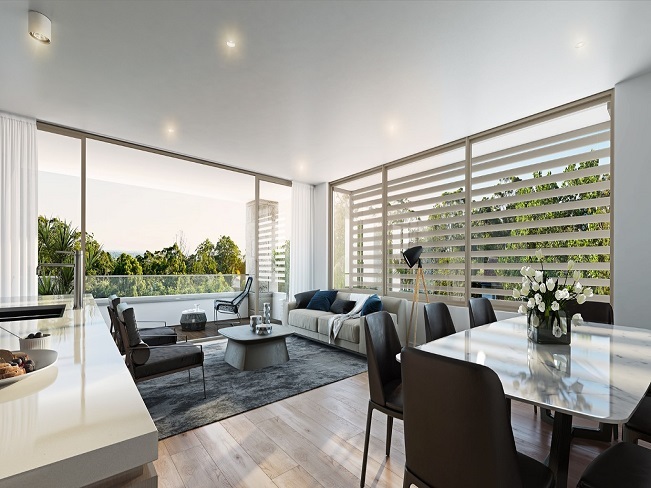 In keeping with the area’s noteworthy cachet, just 43 residences are housed across two luxuriously appointed buildings that complement Killara’s renowned verdant landscapes. Each residence is oriented to harness privacy, spectacular district views and light. Beautiful private garden amenities weave in and around Octavia’s grounds while rich natural materials and textures create beauty and architectural depth. 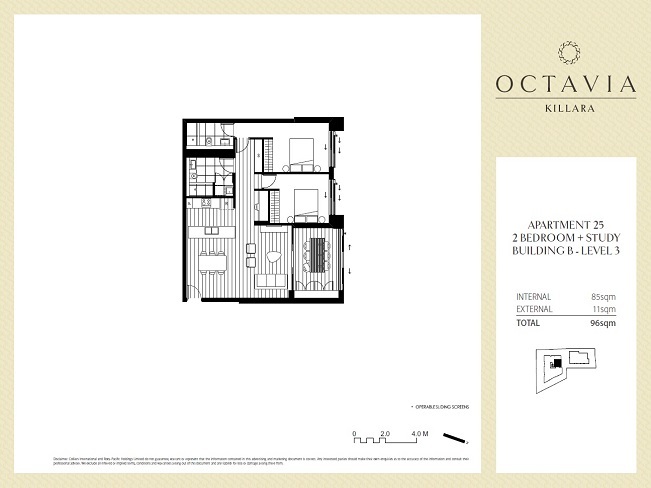 The overall effect is welcoming and sympathetic to Octavia’s gracious surrounds. Octavia’s landscape designed gardens invite you in to private lobbies and the exceptional residences and penthouses within. Modern and enduring, the classic design epitomises luxury and elegance. Considered planning and expansive glazing bring the splendid natural backdrops and golf course vistas deep inside. 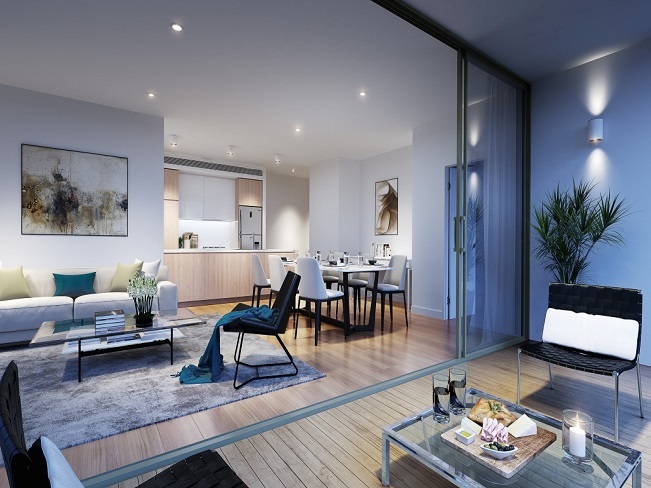 Create your own perfect sanctuary from a diverse selection of 1, 2 and 3 bedroom apartments and penthouses, generously proportioned and beautifully designed. Secure residential and guest parking with lift access ensures everyday convenience for busy lives.